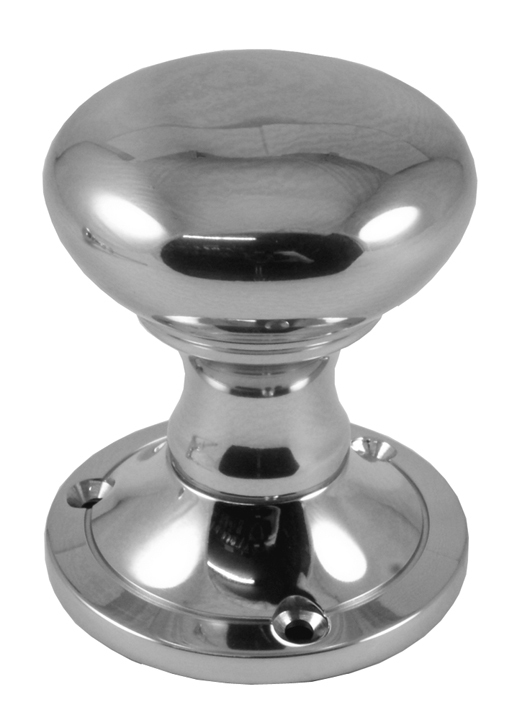 A familiar white metal usually plated onto brass or zinc alloy. Has a highly polished reflective sheen with a blue tinge. 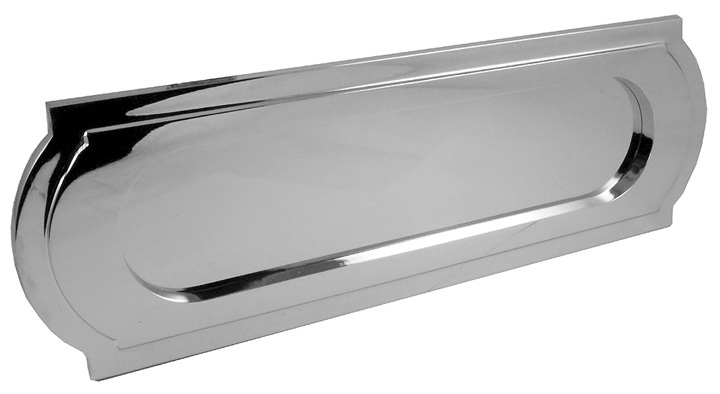 Below are some examples of polished chrome plated door furniture.